What band actively made it their mission to create a nexus of independent media generated by women through which women, a historically underrepresented group in DIY and all things, could have a voice regarding anything they felt was important? Bikini Kill did. The band and their first record Revolution Girl Style Now have informed DIY culture in ways that most records and bands can’t say that they have, and now *insert prayer hand emoji,* there’s a reissue! The reissue of the 1991 record is set to come out on Bikini Kill Records, the label started by members of the band, on September 22 and is available for pre-order now. 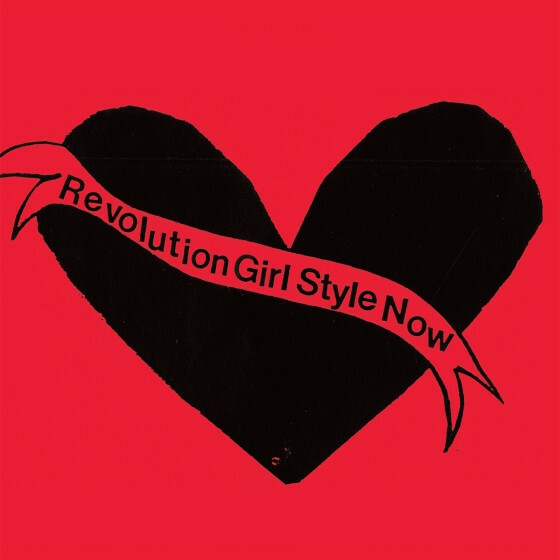 Revolution Girl Style Now was originally recorded at the ABC House in Olympia, Washington only a day after Bikini Kill played one of their inaugural shows in the same space. The album is undoubtedly noted as one of the records that spawned the Riot Girl movement, and though the band has made efforts in the past to compile different singles and EP’s into reissues, this marks the first reissue of this particular record (one of only two full lengths Bikini Kill recorded during their six-year stretch as a band). The album will be made available to purchase on vinyl, CD, and in digital formats. On top of the aforementioned mediums, a limited run of replica cassettes will be available only through mail order. All copies of the record, on top of the original track listing, will feature three previously unreleased songs: “Ocean Song,” “Playground,” and “Just Once.” The first 500 vinyl pre orders come with a limited edition poster while the first 300 CD orders come with a button and sticker. Check out the reissue’s trailer, which features footage from the band’s first show.